Alyssa Milano gets a lot of flack for posting pictures of herself breastfeeding and she won’t apologize for it! She was on The Wendy Williams Show and the two got into a heated discussion when Williams said “I don’t need to see that”, speaking about how she doesn’t need to see mothers breastfeeding in public. Milano quickly began to talk about how society has made our breasts sexual objects and why is it okay to see celebrities wearing practically nothing and its not ok to see a woman breastfeeding her child. We could go on and on on this particular subject and it is a constant debate unfortunately. In this particular photo, Milano is proud that she has breastfed her daughter for 16 months; photo courtesy of The Wendy Williams Show from CNN.com. 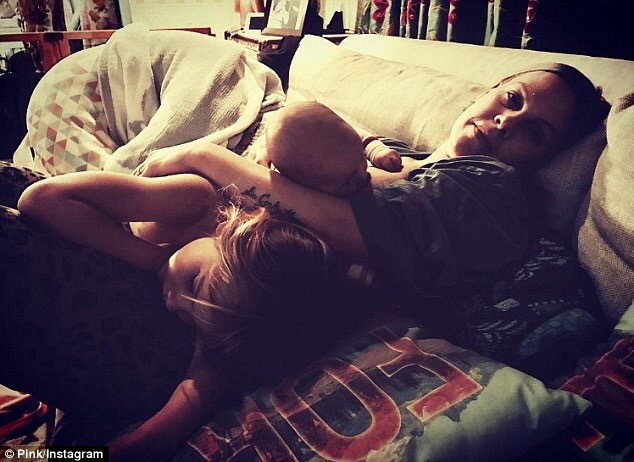 Pink was on Instagram and posted this beautiful picture of her breastfeeding her son while her older daughter was sleeping over top of her. This picture shows that special bond that can come from breastfeeding. I love how Pink looks like any of us would, not all dressed up ready for a photo shoot. This right here is the real deal motherhood photo! Kristen Bell isn’t shy when it comes to talking about breastfeeding and pumping! This picture is courtesy of Kristen Bell’s Twitter where she talks about her new backstage routine at the Country Music Awards in 2014. She was most recently on the Ellen DeGeneras show with her husband Dax Shepard and they were speaking about not pumping for a whole day for a role in her husbands movie. Needless to say she was very engorged and she did get the results she wanted for the role lol. Kristen Bell at the CMA 2014 per her Twitter feed. 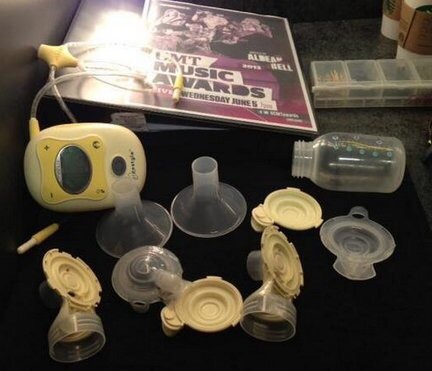 Alanis Morissette, Alicia Silverstone, and Mayim Bialik have been huge supporters as well, and can always be found speaking up for breastfeeding rights. Alanis and Mayim are all about extended breastfeeding and allowing their baby to self wean on their own time when they are ready. Breastfeeding has so many benefits to both mother and infant but it is not all about nutrition. Infant’s want to breastfeed for many reasons including, hunger, scared, bored, hurt, growth spurts, nap time, bed time, you name it and breastfeeding solves it! Always know that if you are having difficulties breastfeeding there is help out there from breastfeeding support groups to in home lactation support. Click here to check out a blog post about when to seek lactation support. Should I Take a Prenatal Breastfeeding Class? Briana has already helped me with issues I’ve had breastfeeding my second daughter. She is a wealth of knowledge and can help you with any questions or issues you may have breastfeeding. She’s awesome!!! Briana was a tremendous help to my newborn daughter and I as we worked through the early weeks of breastfeeding. Her knowledge and support helped my daughter and I establish and maintain a successful breastfeeding relationship. Whenever I needed help or had questions, Briana has been readily available. We never would have gotten to where we are today without her help, guidance and support. Many thanks! I was 4 days postpartum, struggling with nursing issues and in the height of postpartum anxiety, when Briana came to my rescue. I contacted her after being referred by a friend, and Briana came to my home within 24 hours to offer her services. She was with me for easily 2 hours asking me questions, getting to know my baby and I, letting me cry and listening to my concerns, and helping me to form a plan. After leaving my home that day, Briana took time to check in on me via text almost on a daily basis. The plan that she formed with me was to get me through a week because it was what I felt I could handle. On my goal date, Briana contacted me to see where I stood on my plan and how she could help. Since then, she’s continued to check in on me and has been willing to answer questions as I’ve had them. I’m sorry I didn’t know about Briana when I had my other two babies. I can tell that she truly cares about me and my child and is willing to help in whatever way possible. I don’t regret contacting her and having her help for a second! Thanks for being so helpful, friendly, knowledgable, and down to earth — coming to my house to teach me everything I need to know about breastfeeding prior to the birth of my little one! 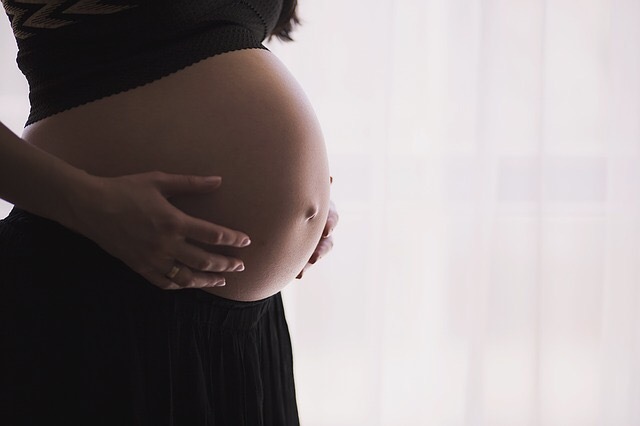 I am feeling peace of mind knowing that I have already met with you and will have a great resource for success after baby arrives! OMG, we are doing so much better! I showered with her yesterday and cuddled in bed. She loved it! And I relaxed a lot too. Her latching improved a ton. I think she is going through a growth spurt because she went back to nursing every 2 hours last night…which I didn’t mind at all because she was latching and feeding so well!! My husband gave her a bottle with paced feeding this morning so I could get a little extra sleep, and she continued to latch well all day. Your advice was a lifesaver, and also helped me focus on the fun part of having a baby, so thank you!!! Briana was excellent, she had a ton of great tips and information to help me be confident with my breastfeeding. I would recommend her to anyone who is doubting themselves or just concerned they might be doing something wrong. The in home visit is well worth it to answer all your questions and give you peace of mind in the process! Briana was so helpful to me when I needed assistance with my son latching just a couple of days after I gave birth. She was able to meet with me the next day which is crucial during that first week and trying to learn how to breastfeed. Briana gave me the confidence boost I needed by weighing my baby before and after each feeding. This assured me that he was getting enough milk and that I was on the right track. I would recommend Briana if you need more assistance after leaving the hospital. Briana’s warm and laid back demeanor made the consultation easy and stress free – so important in those first weeks of complete sleep deprivation as a first time mom! After meeting with Briana both times I felt a lot more confident in my ability to breastfeed our son and later tackle pumping. Thanks Briana! We met with Briana less than a week after my first child was born. I was having difficulty breastfeeding despite the hospital telling me what a great latch my child had. I knew something was wrong right away when feeding him had left me in tears. She provided me with accurate information and was able to help with positioning and techniques for getting him to latch properly. She came out several times, and I was always able to contact her if I had any questions. She was essential in continuation of my breastfeeding journey. Without her, I would have quit a long time ago! Briana assisted us with re-sleep training our 21 month old son following the birth of our daughter. Our son regressed after our daughters birth and refused his crib. Every night was a huge battle that resulted in tears for all parties and him sleeping on a twin bed. The twin bed allowed for him to get up at any time, which he did quite frequently. Briana helped us get some of our sanity back by administering a sleep plan to help give us more confidence and tips to get our son back into his crib. Although it was not easy, our son has been in his crib for the last 4 nights, sleeping quietly through the night again. Briana was very helpful with educating us regarding sleep training, especially during nap-time. Isaiah went from sleeping in our arms during nap-time to sleeping in his crib for over an hour each nap. 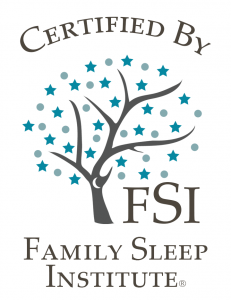 She helped us to attain our goal and I would highly recommend her sleep services! Briana was such a pleasure to work with! She took the time to listen to our individual story and she remained helpful and nonjudgmental throughout the entire process. She was able to tailor our sleep plan to fit our entire family’s needs and finally get Mom and Dad a full night’s sleep! Whenever I reached out to her, she was very quick to reply and provide guidance. Overall, we were very satisfied and would absolutely recommend Briana’s services to our friends and family. Subscribe to our email newsletter to get the latest news, free resources, and special offers!